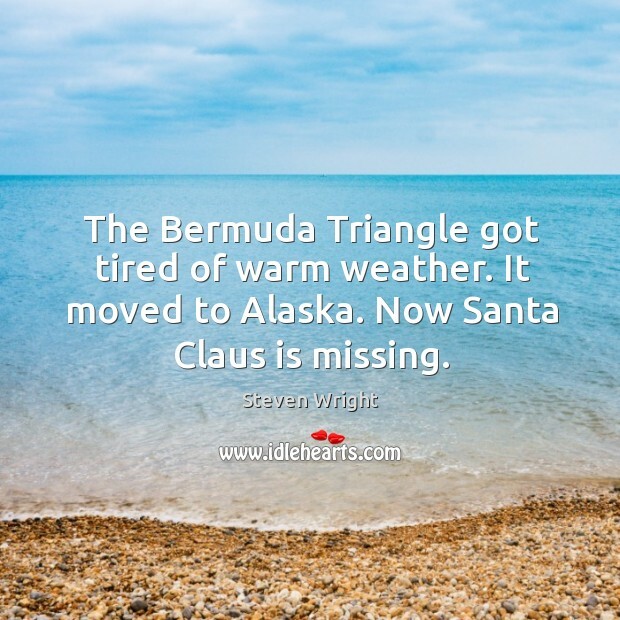 Quotations about Bermuda Triangle. Quotes to stimulate mind and drive action! Use the words and quote images to feed your brain inspiring things daily! I want to fly a jet. I'd love to just be in the air and go mach 3 or mach 4. Or, I'd be an underwater salvager. I've always been fascinated with the Bermuda Triangle and Atlantis. I love chemistry, also. 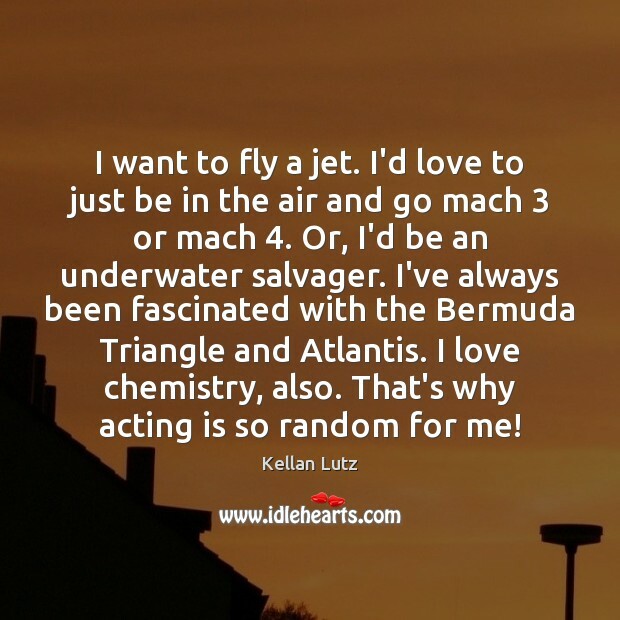 That's why acting is so random for me! 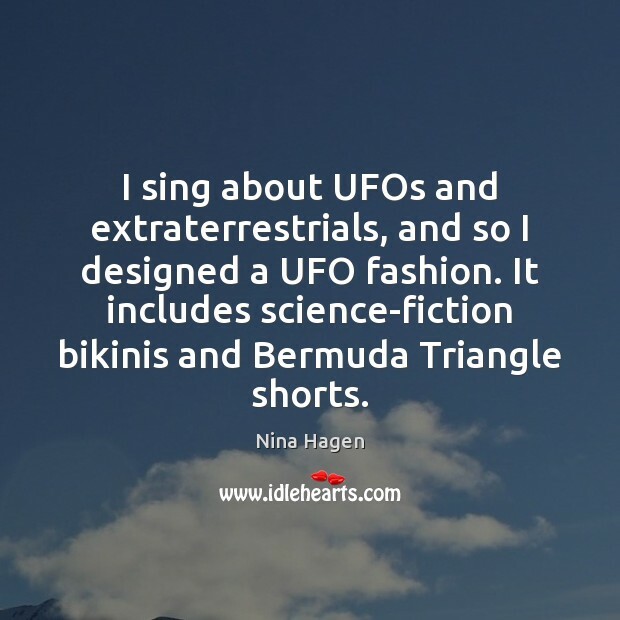 I sing about UFOs and extraterrestrials, and so I designed a UFO fashion. It includes science-fiction bikinis and Bermuda Triangle shorts. Something dramatic happens to girls in early adolescence. 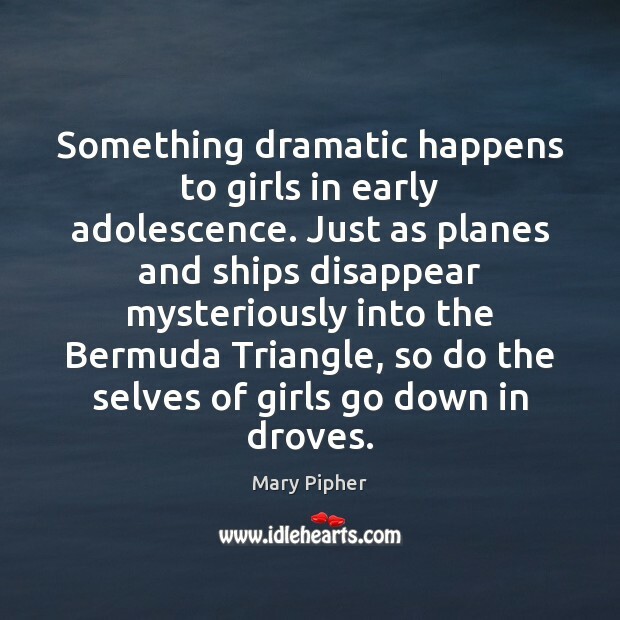 Just as planes and ships disappear mysteriously into the Bermuda Triangle, so do the selves of girls go down in droves. You can go to heaven if you want. 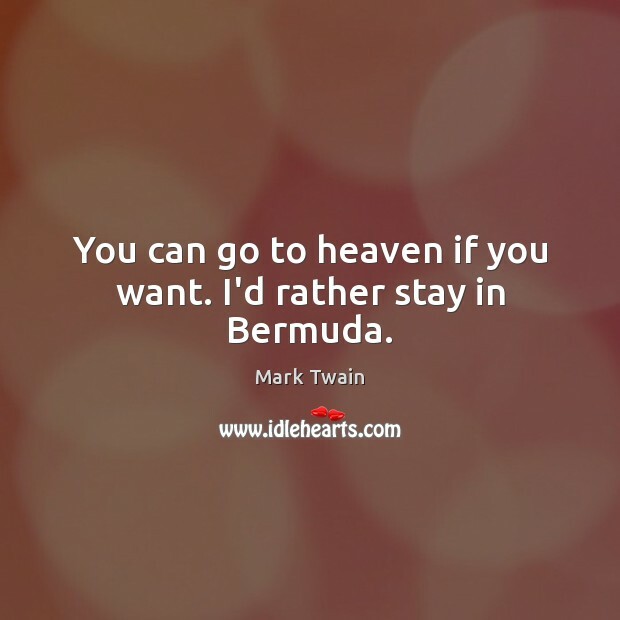 I'd rather stay in Bermuda. 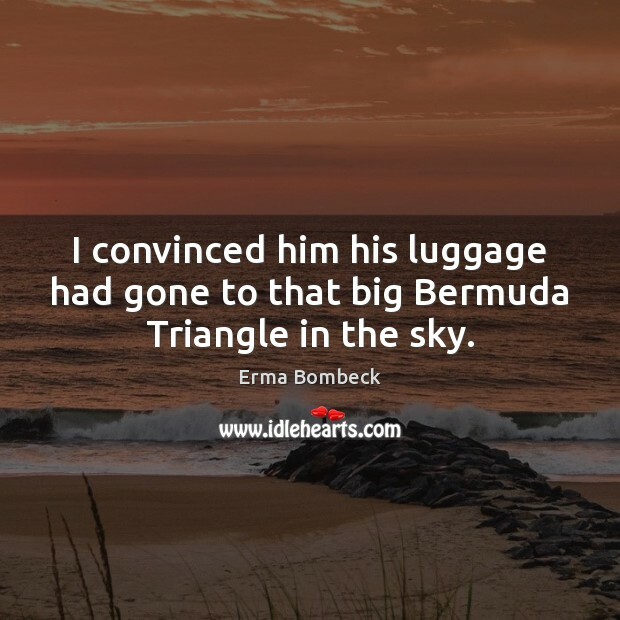 I convinced him his luggage had gone to that big Bermuda Triangle in the sky. I'm making out with a dead girl in my dreams. I'm screwing women I have no business screwing. I'm pushing away the one person who actually gives a damn about me. 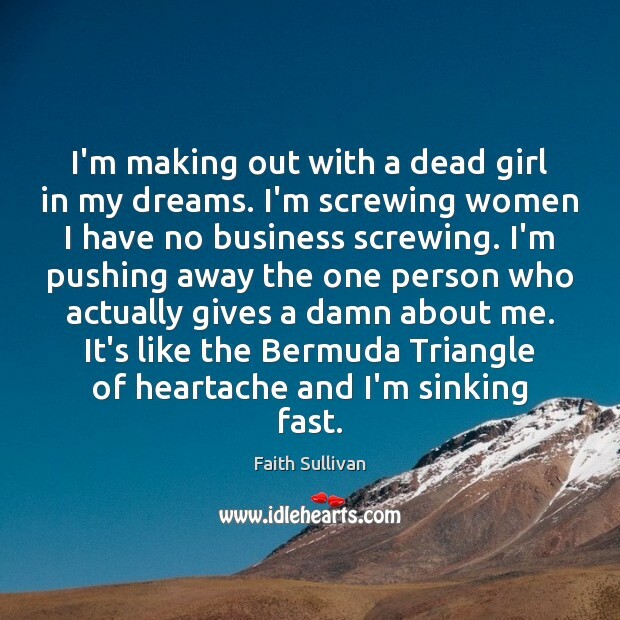 It's like the Bermuda Triangle of heartache and I'm sinking fast. The Bermuda Triangle got tired of warm weather. It moved to Alaska. Now Santa Claus is missing.